CINCINNATI, OH— March 21, 2019— Faruki+ Partner Erin Rhinehart was featured on the Instagram channel Women Of Law as an influential female lawyer. Women Of Law empowers female attorneys by connecting, inspiring and promoting the advancement of women in the legal field. The organization highlights important activities, helping to improve the practice and morale of women in the legal community. It strives to encourage and inspire women in the field, on global levels. Rhinehart is a partner at Faruki+, and she leads the firm’s media and communications practice, defends class action litigation, and assists clients as they navigate a variety of contract issues. Her practice also includes, but is not limited to, Class Action Defense and Business Litigation. She also focuses on review and litigation of licensing, distribution, master services agreements, franchise agreements, non-compete issues, development agreements, entertainment, non-disclosure, and non-disparagement agreements. Rhinehart has been with the firm for 14 years and operates out of the Cincinnati and Dayton offices. 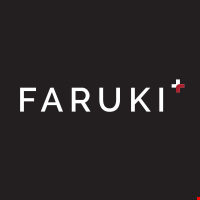 To learn more about Faruki+, contact John Kendall at (937) 227‑3723.